Dave is a third-year econo﻿mics﻿ major from Kirtland, OH. 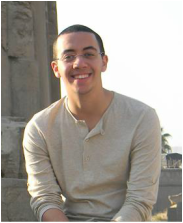 He also serves as a financial coach for the Student Wellness ﻿Center﻿ and has interned at KeyBank in Cleveland, OH. In his down time, Dave races for the club sailing team and can be found rock climbing at the ARC. Mickey is a third-year student in economics from Cairo, Egypt. Cormac is a third-year economics major from Tallmadge, Ohio. He likes golfing, skiing, and watching sports. Ellen is a fourth-year economics major from Beijing, China. She had internship experiences at DuPont and Cargill, and grew interests in environmental economics and agricultural economics. She likes watching movies and running. Ben is a third-year student pursing a Bachelor of Science in economics (of course!) and political science. Originally from Cleveland, he has grown to love his second home in Columbus; but after internship experience in the Washington, DC area and study abroad experience in Bolivia and Spain, he has grown to love travel as well! 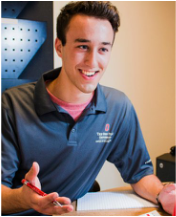 His other interests include playing the saxophone for various School of Music ensembles and the Collegiate Council on World Affairs here at OSU.